You have 2278 characters. Don’t forget to add important and relevant keywords in your description to improve your iTunes app page and optimize your SEO. Your app's last version was released on August 02, 2018. It is important to regularly update your app. Best practices recommend to update your app every 4 to 6 weeks. This means fixing reported bugs, improving existing features, launching new features etc. Keep an eye on users' feedback. The next great features may already be asked by many users. 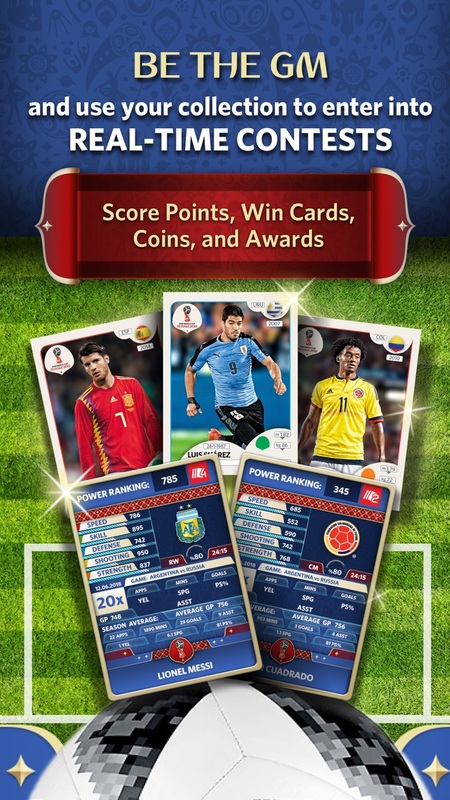 The Official FIFA World Cup trading cards game! Collect, trade and play the top players from the World Cup Russia in 2018! Can you get your favorite soccer or futbol player's card? Download now to get started! 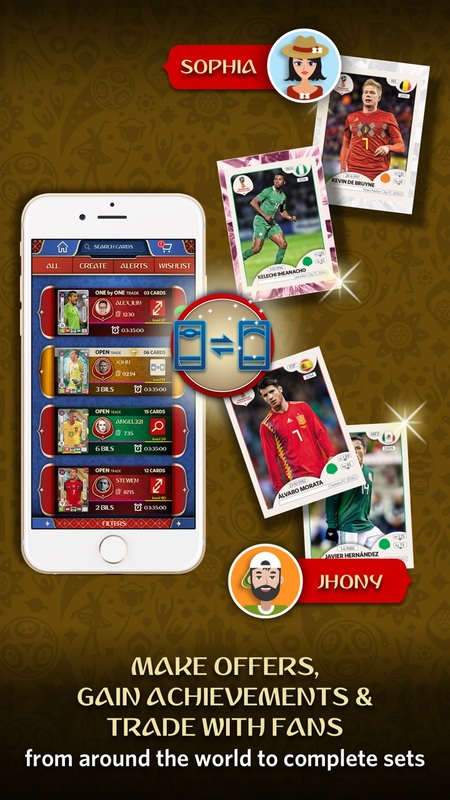 Panini is the officially licensed trading card app of the 2018 FIFA World Cup in Russia. Panini, which has put out the premier World Cup Sticker collection for the last 40+ years, for the first time is bringing the entire World Cup history, to the palm of your hand! 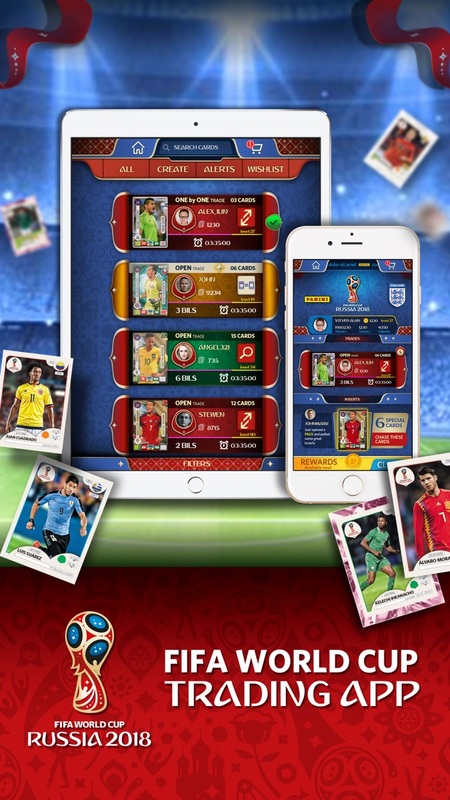 Trade futbol cards from teams in the 2018 World Cup, and play with other players all over the world. Collect and trade stickers from all the countries and players participating in 2018, plus the last 4+ decades of the World Cup. Find your favorite, moments, players and champions, and complete sets from the most iconic tournaments. 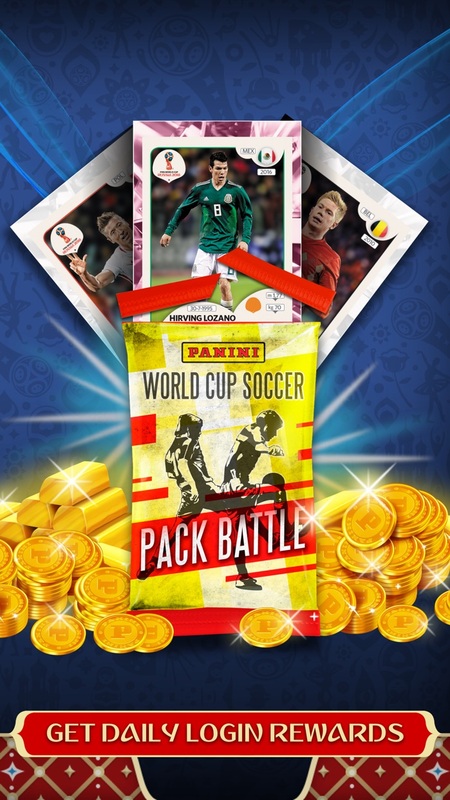 Open packs, find top players and build your collection. Find the rare cards as you expand your cards and explore the players from top teams in 2018! Become the top manager as you compile your Top 11 players! Missing a card? Join the trading pool to meet other players all over the world and trade cards to acquire your favorite players! Chat with, browse inventories, make offers, and trade with FIFA fans from around the globe. Trade up to 16 cards at a time to collect your favorite players, complete sets, acquire rare cards, or build your ultimate contest lineup. Select your players' top attributes, and battle it out with other players to win Pack Battles. The cards you win on the playing field, you keep! Get the best cards from winning Pack Battles! Use our Augmented Reality feature to find and capture cards in the real world! You never know where unique and rare cards will show up. Band together with other supporters of your team and work together to conquer the most territory. Be sure to keep and eye on your players and ensure they’re always at full power! Get free coins every day just for signing in, and earn free packs, rewards, and coins for completing sets, making trades, scoring in contests and so much more! Start collecting and trading now!